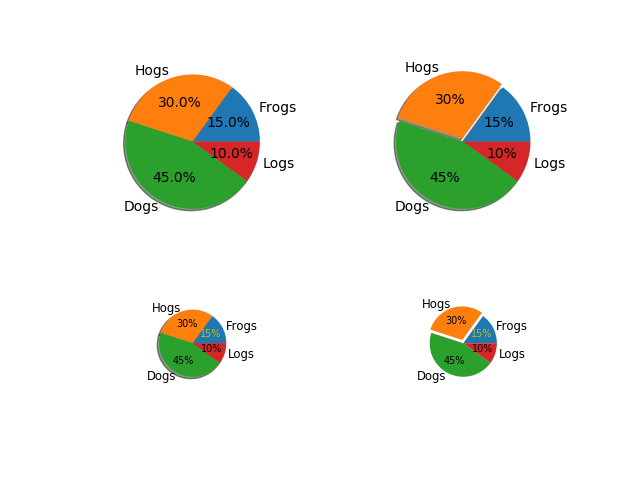 Make a pie charts of varying size - see https://matplotlib.org/api/pyplot_api.html#matplotlib.pyplot.pie for the docstring. This example shows a basic pie charts with labels optional features, like autolabeling the percentage, offsetting a slice with “explode” and adding a shadow, in different sizes. # Turn off shadow for tiny plot with exploded slice.